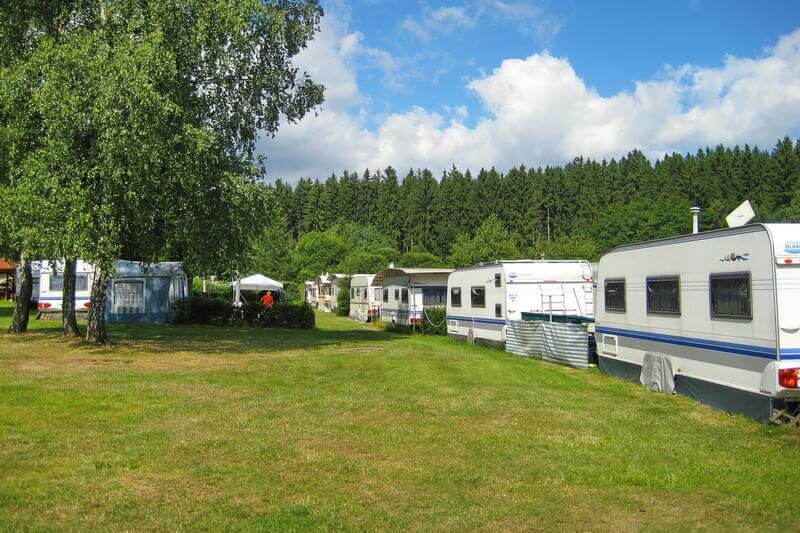 Dive into the beautiful nature of the Thuringian Forest and enjoy the peace and the hospitality on the Paulfeld camping site- the traditional camping site which has guaranteed relaxation and stress relief for over 40 years. Convince yourself of our many and high-quality service efforts. Benefit from our diverse package deals and save your money. On our campsite there are several fully furnished bungalows for up to 4 people. Kurzurlauber kommen hier genauso auf Ihre Kosten wie Radwanderer, Motorradfahrer, Globetrotter oder Langzeit-Camper. Entdecken Sie die Schönheiten Thüringens vom Campingplatz Paulfeld aus und freuen Sie sich auf schöne und erholsame Tage. The Restaurant "Paulfeld-Baude" is open from wednesday untils sunday from 12 o clock.